Appraisals from overseas are also not rosy — the European Commission’s most recent report on Serbia indicates that the state must do more to strengthen the rule of law by fighting corruption and organized crime. “[Serbia’s] legal framework is not yet in line with European standards, thus leaving scope for political influence in the recruitment and appointment of judges and prosecutors,” the report says. Similarly, the findings of the latest World Justice Project report, which was released this month and measures rule of law across the world, gave Serbia the lowest rating out of countries surveyed in the Balkans. There are plenty of examples which illustrate the disinterest of Serbia’s prosecutors in the misdeeds of the country’s rich and powerful. One is the widespread suspicion that Sinisa Mali, the mayor of Belgrade, was behind the demolition of several buildings in the capital’s historic neighborhood of Savamala, a waterfront enclave beloved for its local bars and impromptu displays by local artists. In April 2015, the Serbian government signed a €300 million contract with Belgrade Waterfront Capital Investment LLC, a company based in the United Arab Emirates, to begin construction of the Belgrade Waterfront. The grandiose new district, set to include shopping malls and apartments, is one of the largest such projects in Serbia. Mali acted as the Serbian government’s representative in the negotiations. On the night after the parliamentary elections on April 24, 2016, three bulldozers descended on Hercegovacka street in Savamala and destroyed several small privately owned buildings. A group of masked men secured the area, blocking traffic, detaining passers-by, and taking away their phones to make sure there were no eyewitnesses. Neighbors called the police during the demolition, but officers did not intervene. 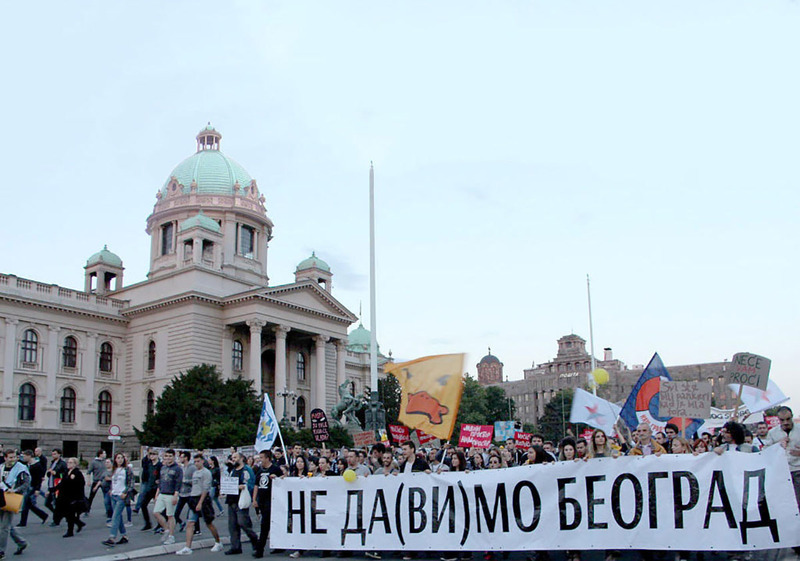 The events of April 2016 galvanized existing anger at the project among Belgrade residents, which culminated in the civic protest organized by the Ne Da(vi)mo Beograd (“Don’t let Belgrade d(r)own!”) movement. In an interview for OCCRP’s Serbian partner KRIK last February, the mayor’s ex-wife Marija Mali said that her ex-husband told her he was behind the midnight demolition, as the Savamala neighborhood stood in the way of the Belgrade Waterfront project. 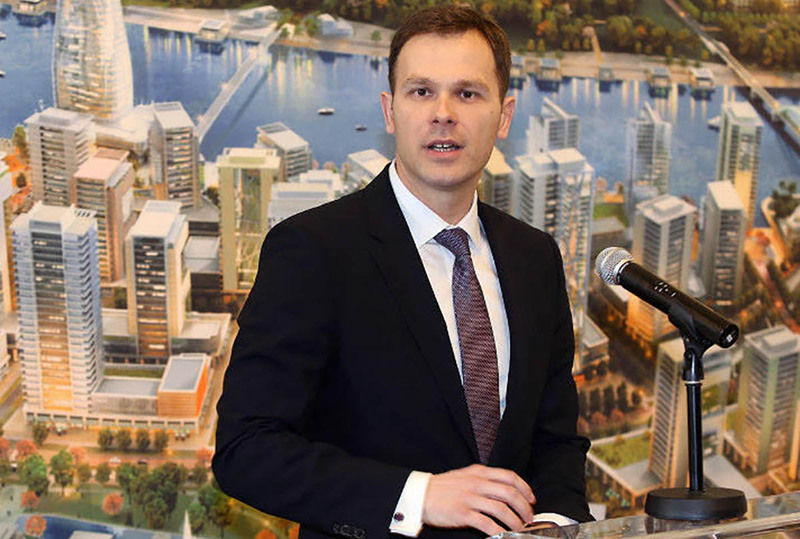 “Sinisa had the task to clean out that area because he had negotiated the construction of the Belgrade Waterfront there with the Arabs,” Marija Mali told KRIK. Mali says she met her ex-husband a day after the bizarre midnight incident, and that the mayor spoke about it as if it was an insignificant event. “I had a problem, some people refused to move out. I organized a cleaning operation — people came in the middle of the night and trashed things a little over there,” Mrs. Mali quoted her ex-husband as saying. Even today, none of Serbia’s prosecutors have opened an investigation into the raid in Savamala — despite repeated pleas from the European Commission that the case be solved. Instead, Serbia’s Higher Prosecutor told KRIK reporters that it had sent the documents to another, lower instance prosecutor to determine whether Mali had reported all his property to the anti-corruption agency as required. That case is still open. Sinisa Mali is far from the only Serbian politician to whom the country’s prosecutors have shown such deference. As KRIK/OCCRP has previously reported, Minister of Defense Aleksandar Vulin used €205,000 in cash of unknown origin to complete his purchase of a Belgrade apartment in 2012. When Vulin was elected to parliament in May 2012, he was obliged to report his assets and income to the state anti-corruption agency. Yet when it came to explaining the origin of the mysterious €205,000 — far above his legal earnings — Vulin told the agency that the money had been lent to him by his wife’s aunt in Canada. An investigation by the agency disproved Vulin’s account; there is no record of the money having been paid into the minister’s bank account, nor his wife’s. Neither Vulin nor his wife ever reported bringing it into the country in cash (by law, any sum over €10,000 must be declared to customs officials). The agency then produced a report and sent it to the prosecutor responsible for cases of organized crime. The prosecutor showed no interest in tracing the money’s origins, and never questioned Vulin. Serbia’s prosecutor has also failed to open investigations into the current minister of health Zlatibor Loncar and minister of defense Aleksandar Vulin, who have both been implicated in high-profile corruption scandals. Photo CC-by-SA-3.0: Wikimedia Commons / OCCRP. An additional example concerns Serbia’s current health minister, Zlatibor Loncar. In 2002, the Montenegrin organized crime figure Veselin Bozovic narrowly survived an assassination attempt by the Rakovica Gang in Belgrade, and was then rushed to an emergency clinic. Bozovic, who had been shot in the shoulder and lung, was expected to survive — but did not. The doctor who treated Bozovic at the clinic was Loncar. In 2004, claims surfaced that Loncar had received a free apartment in Belgrade as a reward for allegedly killing Bozovic. In court hearings, two protected witnesses — members of the Zemun Gang, a notorious organized crime group in the capital — claimed that their leader Dusan Spasojevic had wanted Bozovic dead, and that Loncar had killed the Montenegrin by lethal injection. 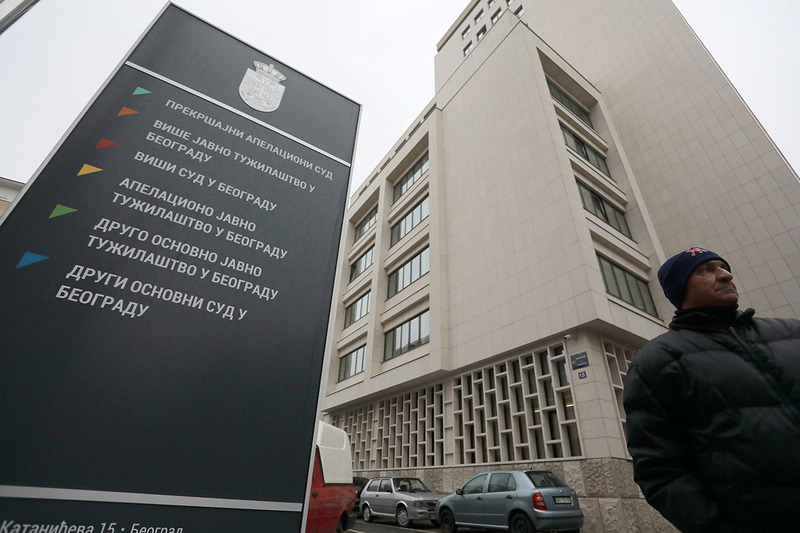 One gang member testified that the doctor had been rewarded for his service with the Belgrade apartment, which had been specially procured by Spasojevic. Loncar denied the claims outright on public television, and police never filed charges due to a lack of evidence. Yet when a KRIK/OCCRP investigation in 2016 established that Loncar had in fact acquired an apartment in 2002 from a woman with links to the Zemun Gang, Serbia’s prosecutors refused to open an investigation on the basis of the new evidence. In recent years, the only known case against a high level politician that has ended in a court ruling came in May 2017, following OCCRP/KRIK’s discovery that mayor Mali had illegally obtained more than ten hectares of state land which he used to start production of fertilizer used for cultivating mushrooms. While Mali was not investigated in the case, a commercial court ruled last year that the land should be returned to the state. Lawyers for Compost Group, a company with links to Mali, appealed the ruling in September 2017, and to this day the higher instance court still hasn’t issued a judgment. It is important to note, however, that the first-instance ruling of the commercial court concerned an administrative, not a criminal, offense. Zoran Stojiljkovic, a former board member of Serbia’s Anti-corruption Agency and professor at Belgrade university’s faculty of political science, told OCCRP/KRIK that he’s not surprised Mali has not yet been investigated.